Abortion access is a critical right for all people, regardless of their race and socio-economic status, that helps ensure long-term economic security for women and families across the nation. Access to reproductive health care can empower people to be able to continue their education, pursue a fulfilling and economically secure career path, and choose if and when to have children. In order to protect and expand access to this safe medical care, health insurance options must include abortion coverage. The political climate surrounding health insurance in America makes access to abortion care even more tenuous. Congressional Republicans’ repeated threats to cut Medicaid; defund Planned Parenthood, which provides reproductive health services to nearly 2.5 million patients nationwide; and eliminate ACA protections for people with pre-existing conditions target women’s health and abortion care as a policy priority.2 Yet such actions would be disastrous for women across the nation. Moving forward, it is critical that abortion is treated similarly to all other types of health care, rather than being singled out due to political motives. This issue brief outlines several health insurance categories and explains how each respective type of insurance generally covers abortion. Some states have expanded their Medicaid programs to include abortion coverage using state funds. Seventeen states have a policy that directs Medicaid to pay for medically necessary* abortions: Five states provide these funds voluntarily, while 12 states do so pursuant to a court order.11 States such as California and New York have proactive policies in place to require coverage of abortion in all insurance plans, which is discussed in more detail below. The distinction between fully insured and self-insured plans matters because federal and state laws treat them very differently. This is due to the Employee Retirement Income Security Act of 1974 (ERISA) and how the Supreme Court has interpreted this federal law. Under this law, fully insured plans are subject to both state insurance law and federal law, while self-insured plans are subject only to federal law.15 ERISA does not explicitly restrict coverage of abortion, so self-funded plans are not generally subject to state-based abortion restrictions. 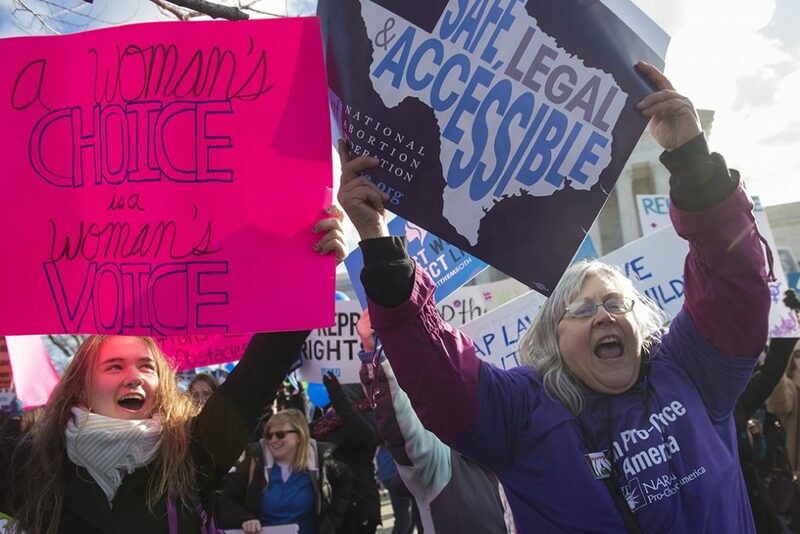 These proactive measures have increased access to abortion for people who have private insurance plans as well as those with public insurance programs, as these states use state funds to finance abortion care. In such states, however, health insurance plans that provide abortions have to comply with special accounting rules.23 The issuer must establish two accounts for enrollees’ premium payments: one for abortion claims and one for all other claims. This ensures that abortion coverage will only be paid for using private, nonfederal dollars. The ACA triggered state action that banned coverage of abortion in health insurance plans offered through the insurance exchanges. Twenty-six states have restricted abortion coverage in plans offered through the marketplace, though some allow individuals to purchase riders for abortion care.31 Riders, defined as “a limited scope supplemental benefit policy that covers certain services,” are available for individuals to use as supplements to their health insurance plan, providing a specific coverage area that they predict they will require in the future.32 However, using riders for abortion is not a practical option: It is difficult to foresee the need for abortion, and there is limited availability of approved riders. The Kaiser Family Foundation reported that in a study conducted for plan years 2017 and 2018, researchers were unable to find any insurers offering abortion riders in the nine states that ban abortion coverage but allow riders.33 Therefore, laws that prohibit health insurance coverage of abortion but permit riders are essentially bans on abortion coverage. Health insurance costs will continue to rise due to efforts to destabilize and sabotage the ACA. The repeal of the individual mandate and the decision to cease CSR payments to insurers are predicted to increase premiums for marketplace health insurance plans.47 Because women are more likely than men to live in poverty,48 serve as unpaid caregivers,49 and report a delay in accessing health care due to costs,50 rising costs will disproportionately affect low- and middle-income women’s ability to lead healthy lives and afford health insurance and services, including reproductive health care and abortion. Ongoing attempts to exclude and restrict abortion care are detrimental to women’s health and will particularly affect low-income women and women of color. Congress must prioritize women’s health by repealing the Hyde Amendment and passing legislation such as the Equal Access to Abortion Coverage in Health Insurance (EACH Woman) Act of 2017.51 This bill requires the federal government, as a health insurance provider, to ensure coverage for abortion care in public health insurance programs such as Medicaid. The bill also requires the federal government, as an employer or health plan sponsor, to ensure coverage for abortion care for participants in and beneficiaries of programs such as the Federal Employees Health Benefits Plan and TRICARE. Bans on abortion funding affect approximately 29 million women of reproductive age, for whom the EACH Woman Act would help increase access to abortion care.52 Many of these individuals are low-income women and women of color, given that Medicaid serves those living below the federal poverty level, and the majority of enrollees are women and people of color.53 For these groups, the financial barriers to accessing abortion care can be insurmountable, and the Hyde Amendment prevents them from accessing the health care that they need. The EACH Woman Act will help protect against political interference in women’s personal decision-making about their health care—a necessary step for women across the country to be able to access abortion care and lead economically secure lives. In addition to federal legislation, states should take initiative to better integrate abortion care into the broader health care system. They can do this by expanding Medicaid to cover abortion using state funds and/or passing legislation that requires all state health insurance plans to cover abortion. The aforementioned examples of California, New York, Washington state, and Oregon are productive models for states to emanate in terms of incorporating abortion coverage into a state health insurance system. Currently, abortion is segregated from the health insurance system and treated as a separate service that states may regulate differently from other types of care. Abortion coverage varies vastly depending on the type of insurance a person holds and the state in which they live. This lack of uniformity can exacerbate existing inequalities in access to reproductive health care and leave women at the whims of their legislators for lifesaving, critical care. In order to support women’s economic security and bodily autonomy, it is vital that abortion be comprehensively integrated into the U.S. health insurance system. Anusha Ravi is a former research assistant for the Women’s Initiative at the Center for American Progress. * Author’s note: The term “medically necessary” in regard to abortion differs in meaning on a state-by-state basis. There is no formal definition of “medically necessary abortion” on a federal level, so states are allowed significant leeway to interpret what qualifies as a “medically necessary” abortion.